Can fairy tales subvert consumerism? Can fantasy and children's literature counter the homogenizing influence of globalization? Can storytellers retain their authenticity in the age of consumerism? These are some of the critical questions raised by Jack Zipes, the celebrated scholar of fairy tales and children's literature. 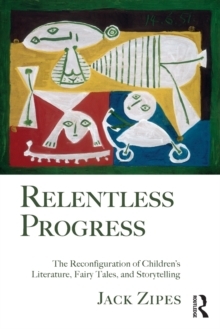 In this book, Zipes argues that, despite a dangerous reconfiguration of children as consumers in the civilizing process, children's literature, fairy tales, and storytelling possess a uniquely powerful (even fantastic)capacity to resist the "relentless progress" of negative trends in culture. He also argues that these tales and stories may lose their power if they are too diluted by commercialism and merchandising. Stories have been used for centuries as a way to teach children (and adults) how to see the world, as well as their place within it. In Relentless Progress, Zipes looks at the surprising ways that stories have influenced people within contemporary culture and vice versa. Among the many topics explored here are the dumbing down of books for children, the marketing of childhood, the changing shape of feminist fairy tales, and why American and British children aren't exposed to more non-western fairy tales. From picture books to graphic novels, from children's films to video games, from Grimm's fairy tales to the multimedia Harry Potter phenomenon, Zipes demonstrates that while children's stories have changed greatly in recent years, much about these stories have remained the same-despite their contemporary, high-tech repackaging. Relentless Progress offers remarkable insight into why classic folklore and fairy tales should remain an important part of the lives of children in today's digital culture.